With Britain in a double-dip recession and belts tightening across the land, value-for-money grooming has never been more important. I talked to King of Shaves supremo Will King about his new initiative, King of Shaves SUB, which aims to help men everywhere ‘save while they shave’. GG: I think we’re all agreed that times are hard Will. In what ways do you think the current economic climate has affected the way men view shaving? WK: The past seven or so years, since metrosexuality died a death in 2005, have been rather intriguing. We’ve had A) a global economic meltdown since 2007 and B) a resurgence in men sporting stubble and/or facial hair – beards – in a big way. I reckon this growth – to excuse the pun – has been down to a couple of factors, the cues taken from Hollywood A-Listers – the Brad Pitt’s, the George Clooney’s and from a sporting perspective, the David Beckham – who’ve adopted a ‘roughness’ to their approach, rather than a ‘smoothness’. This, alongside a more relaxed approach to work (not necessarily clean shaven, suited and booted) has for sure driven growth in stubble. GG: Do you think that the resurgence of the beard has been a direct reaction to the price of blades? WK: Maybe. I don’t think so though – I just think that men are relaxed being a little stubblier, or have a nicely groomed beard right now. Blades, for sure ARE expensive – hence us just launching our King of Shaves SUB – but I’m not sure people are growing beards to put two fingers up at razor & blade companies. GG: Do you think that many companies treat their consumers with cavalier indifference, especially in these difficult times? WK: I think that’s maybe a bit harsh. We live in a world that is changing extremely fast right now, with new ways to do things coming down the track all the time, for example Twitter this time a couple of years ago was pretty widely derided. It’s a great way for companies, brands to connect with their purchasing consumer – yet it’s only recently they’ve started taking to it to keep close to their customer. Back in the day, it was all about ‘Brand Broadcast’ but now it’s about ‘Digital Dialogue’ and by the nature of dialogue, larger companies find it hard to handle – and more than a little scary. I’m pleased to be a ‘CEO who Tweets’ – as it offers people a way to directly chat with me – maybe makes the face of our brand a little more human. Some like how I go about things, some don’t. What does annoy me though is the ‘assumption’ that your consumer will always stick with you, irrespective of what you do… For example, a Gillette Sensor razor blade in 1992 cost 41p per blade. Now a Fusion ProGlide Power Blade costs £3.50. You’re not telling me that’s down to inflation, or adding three more strips of stainless steel? If you take people for fools, then one day – you end up the foolish one. GG: What was the inspiration behind your latest venture King of Shaves SUB? WK: I’m sure everyone who reads this has seen the awesome video by US start-up Dollar Shave Club. To say I’m ‘well jel’ of how they did it, and the global traction they got, let alone calling out all that’s wrong in the razor, blade world and more – would be understating it. However, they are selling generic, private label razors on a subscription model, using a 1970’s ‘Trac 2’ equivalent as a loss leader. So, I knew as soon as I saw the video, we HAD to respond – and fast – to open up a direct to consumer sales channel – a digital & commercial dialogue – with our customers, and simply use the ‘contact lens direct’ model, sending an Azor, Azor 5 or Azor S through the post, with 3 cartrdiges, for between £3-4/month. Because we were able to strip out the RRP – Retail Ready Packaging, and streamline the ordering/fulfilment cycle – we are able to make a margin (despite Royal Mail’s best efforts) on sending through your razor SUB each month. GG: And what’s in it for you? GG: So how does it work? 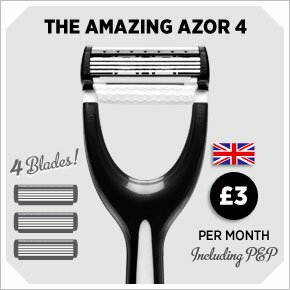 WK: Visit KingofShavesSUB.com, select your razor (Azor 4, £3/pcm for example), fill out the easy-to-fill-out form, enter your debit card details (or PayPal) and – ta da – you’re done. 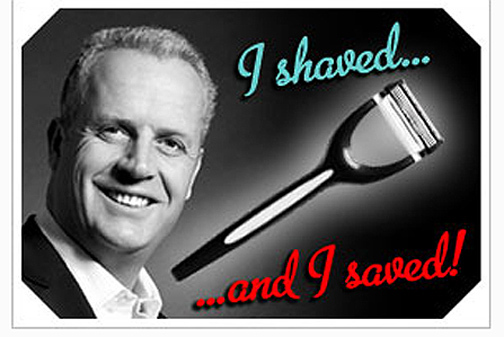 You can cancel after 30 days – the SUB lasts for 24 months – and we simply send the King of Shaves through to you nice and easy, in a lovely metallic blue envelope with a little card from me! 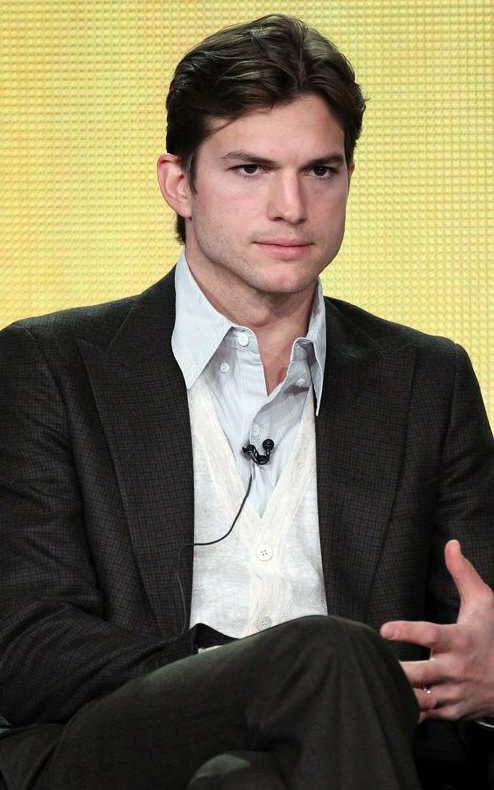 GG: Anything else in the pipeline? WK: We’re looking at including our shaving oils in the next few weeks – these are going through transit trials right now, and we’ve launche our latest Azor S for Women on the site too. So, you to can be a ‘Money S(h)aving Expert’ – as is Martin Lewis, who gave us a great plug on Lorraine on ITV this morning! Oh, and we also picked up coverage on Forbes.com Not bad for a brand that sells shaving stuff, eh? For more info about King of Shaves SUB click here.